Sammobile reported that Indian import records show that there’s a possible new version of the Samsung Gear VR, with a new product code SM-R323 (whereas the Innovator Edition is SM-R321 and the current Consumer Edition is SM-R322). What can we expect from the next Samsung Gear VR? Samsung is one of the partners for Google Daydream, Google’s new mobile VR platform. Daydream is scheduled for release in Fall 2016. 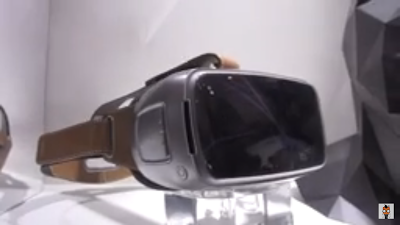 Daydream headsets look a lot like the Gear VR and appear to have similar capabilities. Therefore I believe the next Gear VR will be modified to be compatible with Daydream. I don’t think Samsung will abandon the Gear VR platform though, because there are already plenty of users and apps for it. Rather, Gear VR would likely coexist with Daydream. Thanks to reader David Grass for bringing this to my attention!